You’ve now graduated from college and you’re getting ready for your first day in office. Now that you’ve vacated to a bigger apartment with a moderately sized kitchen, the obvious thing you need to think of is which appliances you’ll need to add to make your kitchen convenient and manageable. There are many kitchen appliances—or toys as some people call them—you can think of when organizing your small kitchen. However, due to the limited space available, you can’t buy everything. Therefore, to ensure that your kitchen space remains organized, you need to think of adding those appliances that will be usable on a daily basis. 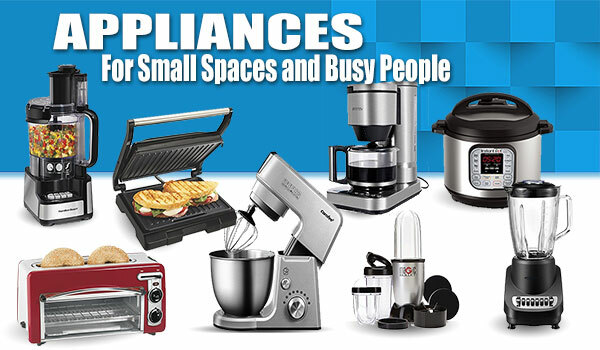 If you’re puzzled in the dark and you’re wondering which kitchen appliances to add over others, this post is here to give you at least 8 great appliances that will suit your small kitchen if you really feel you’re a person always on the go. I could have started with a slow cooker but having learned the convenience of owning an instant pot, I think this appliance is much better than a slow cooker. First, an instant pot doesn’t take much of your kitchen space. 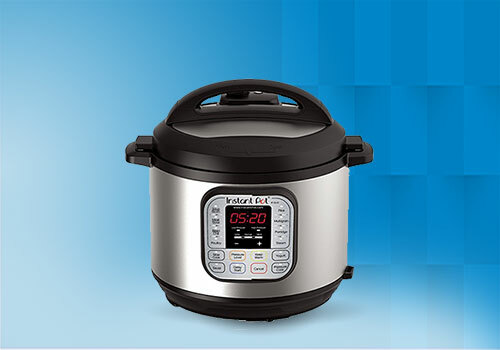 Boasting of its numerous features that allow it to function as a slow cooker, a pressure cooker and a rice cooker, this appliance is surely a must-have. If you’re a busy mom or just an avid kitchen enthusiast always on the go, an instant pot will allow you to prepare a variety of delicious meals such as making yogurt, cooking rice, roasting potatoes, and cooking a whole chicken. Do you always waste a lot of time slicing and dicing? 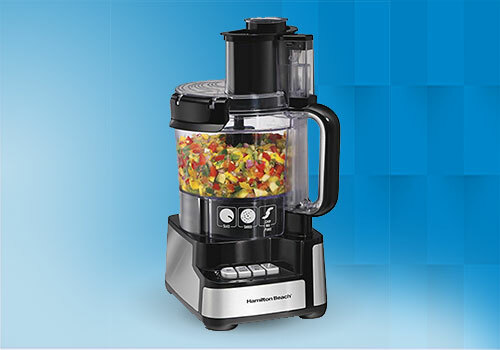 Well, there’s a special way of saving kitchen time by adding a food processor in your kitchen arsenal. This small kitchen appliance has been massively hailed for its vast benefits as it comes with different blades that accomplish a variety of different cutting and slicing tasks. Another kitchen appliance that has qualified a spot in this list of great appliances for small kitchens is an electric mixer. Most people believe that mixers are only meant for baking purposes but in reality, these appliances have proved handy in whipping eggs, kneading dough, and mashing potatoes. For those people with small kids, this appliance can aid in shedding a few chicken breasts. 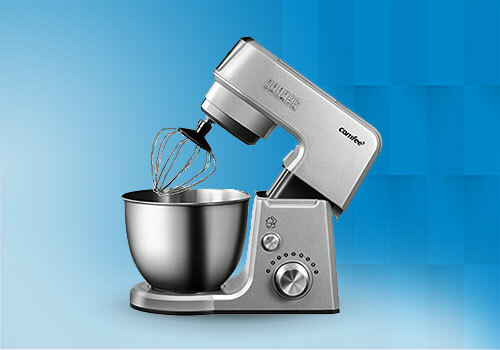 Whether you’re a frequent or an occasional baker, you have the option of bringing in a stand mixer or a handheld mixer depending on your needs. Although this appliance has been deceptively overseen by most people, you’ll never realize how essential this kitchen appliance is until you discover how often you’re using it in the kitchen. 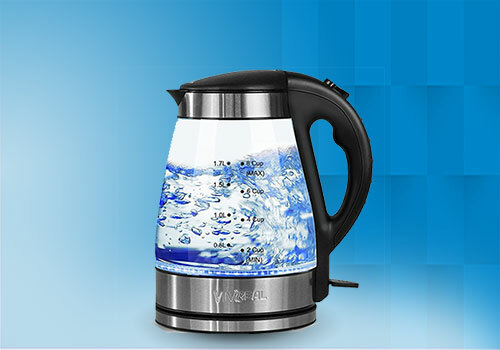 An electric kettle is energy efficient, cost-effective and 10 times faster than using your conventional kitchen stove. 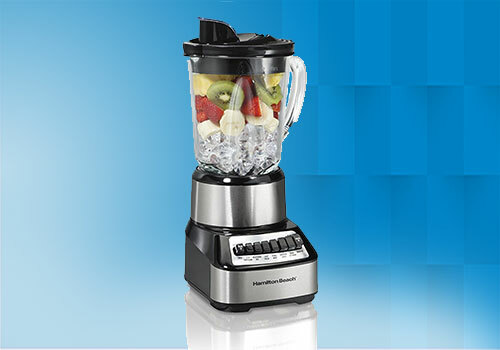 Another appliance that has really won a spot in the modern kitchen space is a blender. Now, to avoid wasting much of your hard earned money, you have the option of choosing between a countertop blender and an immersion blender. Although a countertop blender has sheer power and versatility, opting to go for an immersion blender will be the perfect alternative as they’re fast and compact enough to save much of your kitchen space. 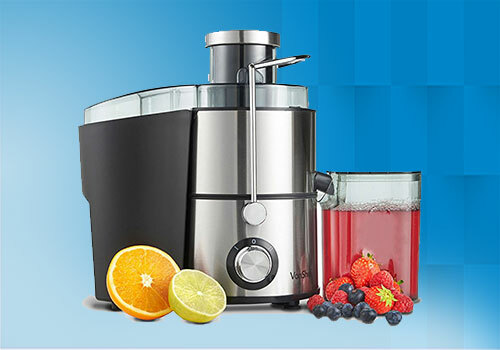 Another obvious must-have appliance in the modern kitchen is a juicer. Who doesn’t love the sweet taste of an organic green juice? By adding a juicer in your kitchen space, you’ll have the versatility of “brewing” fresh juice rich in essential vitamin and nutrients. For people always on the go, I believe you rarely take your time to eat healthy meals. With a juicer right at your kitchen’s countertop, making a fresh juice to add to your evening meals is one great way of achieving a healthy body without having to visit the gym for daily workouts. If you still don’t own a coffee maker, chances are that you’re really losing a lot. Coffee makers are compact kitchen appliances that are usable almost everywhere. With one right at your disposal, brewing your best coffee will be much easier than ever before. 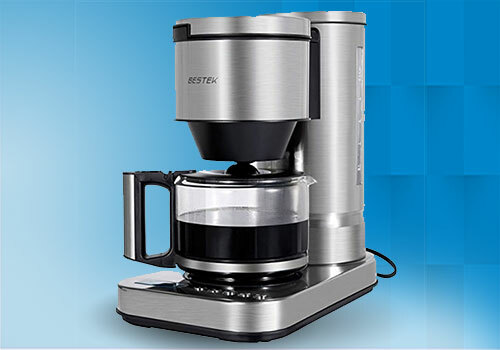 There are different types of coffee makers ranging from drip, remote controlled to single-serve coffee makers. Depending on how you enjoy your favorite brew, you can opt to go for any of these types depending on the cost and the amount of space you have available. 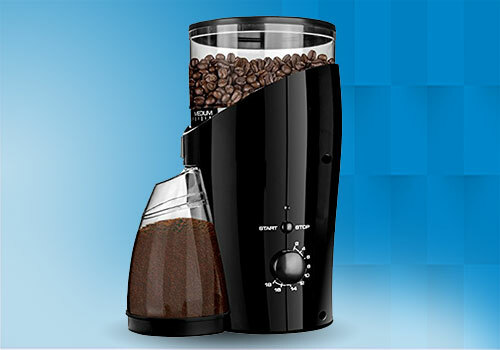 A coffee maker goes hand in hand with a coffee grinder. But instead of just buying a normal coffee grinder, why not go for a coffee grinder that’s capable of grinding coffee beans and spices at the same time? That said, one of the best coffee grinders that will save you enormous space and time is the KRUPS F203 Electric Spice and Coffee Grinder. So, there you have it. If you already have any of these great appliances for small kitchens, then congratulations! Although there are other great appliances you can think of, our list incorporates some of the most basic appliances that are applicable for everyday use. Whether you’re a busy mom, newlyweds or a busy professional always on the go, this list will definitely give you a head start of what you’ll need to keep your kitchen neat and spacious. This post was written by Pure It Fresh. A website that takes pride in writing researched reviews and guides relating to best hot and cool beverage small appliances, for people who want to save the time and stress of figuring out what to buy. What Is Shaker Style And Who Were The Shakers?